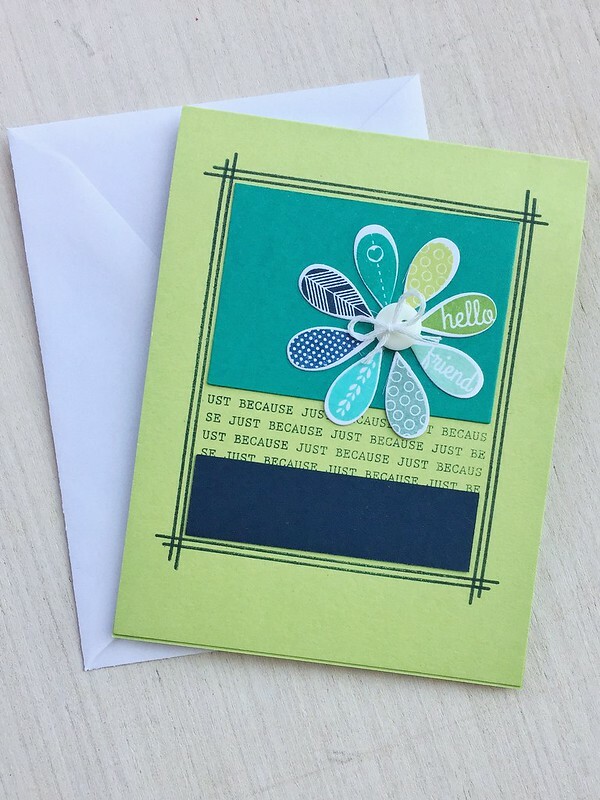 I wanted to pop in here today with a card that focuses on the frame elements of my new November Papertrey Ink stamp set and dies, Fill in the Blank. They can add the perfect finishing touch to a front card panel on just about any project. The key in creating the frame is to place your main panel on your card and then stamp the lines around it. The edges of the panel act as your guide for easy placement. I always envisioned using Oopsie Daisy with this set. A fun floral element is always the right touch. Thanks for joining me. Fill in the Blank stamps and dies will be available on November 15th at 10 PM EST at www.papertreyink.com. Have a nice Thanksgiving!